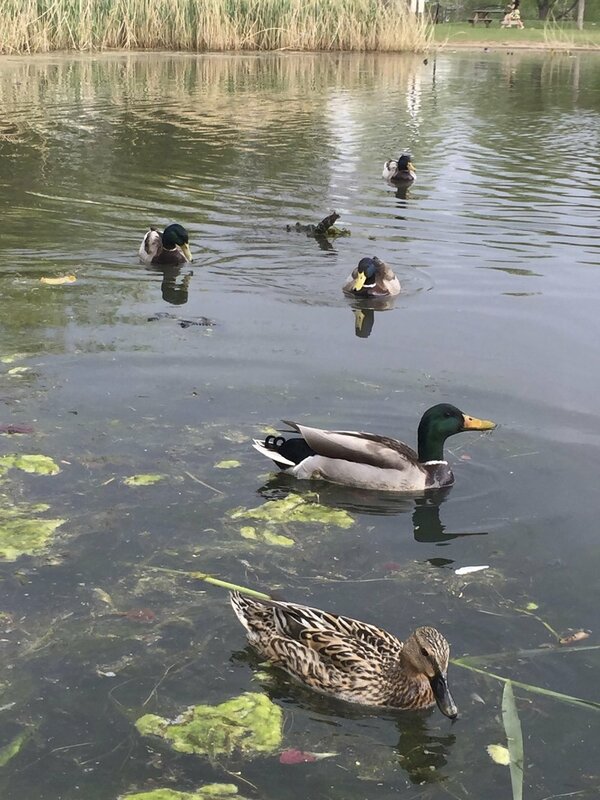 As a member who's given in the past year, you are invited to join us (and these cute ducks) for Breakfast at the Boat Lake! Join us for a continental breakfast - featuring homemade pastries and mimosas, and fruit, yogurt, coffee, tea and juice. A short, fun program with music, and a special award to be given...see below! 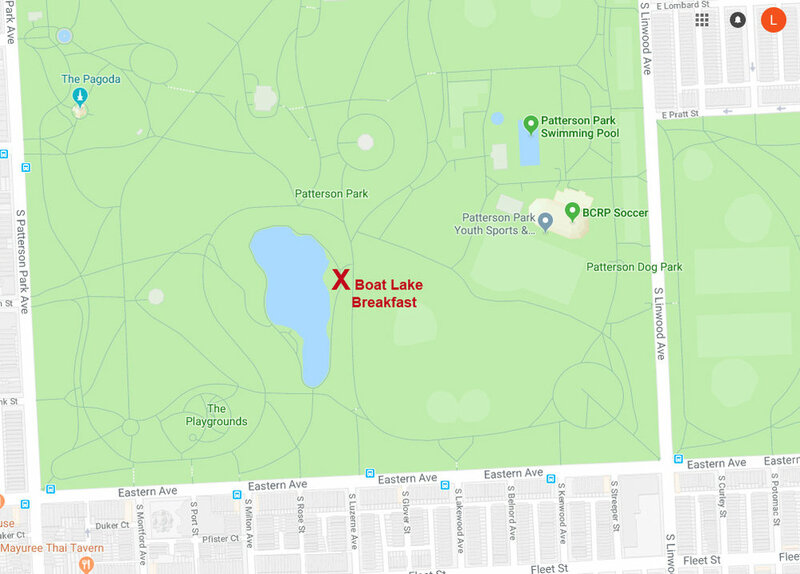 LOCATION: Patterson Park Boat Lake, at the picnic tables. PARKING: If you are driving, please park on the streets bordering the park and walk in (see map below). If you need special accommodation, email us at friends@pattersonpark.com. OTHER DETAILS: Some people like to bring their own coffee mugs (though we do have paper ones available if you prefer) and camp chairs. We're easy...do what you'd like! Announcing our first-ever...BOAT LAKE HERO! The Friends are honored to recognize the work and passion of our first (and original) Boat Lake Hero, Bob Wall. What a better way to do so than at our Boat Lake Breakfast! Bob may be better known as Baltimore City Recreation and Park's Chief of Recreation, but to us he's an example of the energy and imagination that make Patterson Park the heart of our community. Bob's had an amazing career in recreation and parks, starting here in Patterson Park at the Recreation Center, when he was just a high school freshman. The Rec Center is even where he met his wife Vicky! Bob's commitment to Patterson Park has never wavered and he has been a steadfast Friend. He continually looks for ways to support and increase engagement in park activities, and his fishing rodeos and festivals have introduced the hobby to hundreds - if not thousands - of Baltimore City youth. In recent years, he has worked with friends who grew up in Highlandtown - the Curley Inn crowd - to raise funds for the Friends of Patterson Park, and in 2018 that group organized an event that raised $5,000 for the Friends' youth and family programs. This support will ensure that a new generation of Baltimore City kids have the opportunity to learn and enjoy in Patterson Park, and to carry on Bob's tradition of caring for this special place.